Let’s face facts: when the weather gets cold, your little piggies become dangerously exposed. Mesh sneakers let in freezing air, canvas shoes become sponges in snow, and anything low top spells doom for your ankles. wrap foot in leather, make high-top, repeat. While we’ve added all sorts of stylish and functional variation over the years, both the formula and its output have remained about the same. 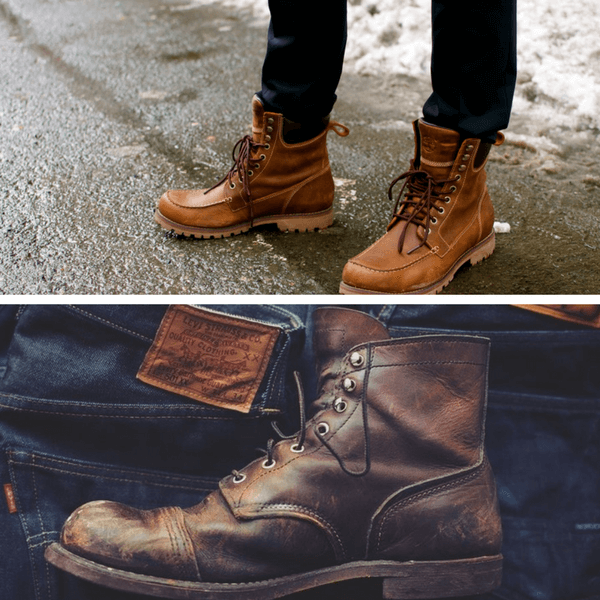 Take it from the cavemen – if you’re looking for rugged, rakish, winter-proof footwear, look no further than boots. From the street to the runway, city to the country, these boots will keep you warm – and look great doing it. With your busy schedule in mind, we’ve distilled the universe of boots into the 10 best boots for men having an impact on fashion today. What you need when there’s a job to be done. The Best Work boots are chunky, weatherproof, and built for function. The style is there, too – it’s just not the focus. Instead, work boots emphasize pure utility through features like treaded outsoles, waterproof liners, and insulated uppers. Whether snow or mud stands in the way, a modern work boot will keep what’s outside… well, outside. But that’s not to say they can’t look good doing it. Thanks to societal trends towards casual wear and urbanization, work boots from brands like Timberland have become fashion pieces in their own right. Timberland’s “Wheat 6” Boot” has even achieved cultural icon status all its own, thanks to co-signs from musicians, fashion designers, and celebrities of all spades. Most importantly of all, it’s still trusted by the millions who rely on it. Are work boots as fashionable as their suede-and-crepe cousins? That’s for you to judge. One thing’s for certain: in 2 feet of snow, the best look is the one that’s warm and dry. Heritage-style boots are made to look like the utility boots of old, with varying degrees of modernity depending on the model. Typical features include leather soles, waxed laces, and “Goodyear” welting (a special method of attaching the boot’s upper to its sole). Think of heritage boots as the perfect compromise between fashion and function. 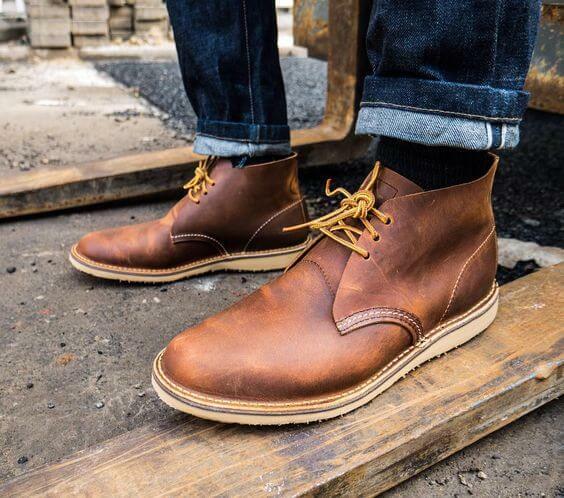 While they may lack the durability of modern work boots, heritage boots are rugged enough for snow-choked sidewalks and arguably look better with heavy use. Some shoemakers even still make boots by hand, insisting on the highest-quality craftsmanship for each and every pair. The L.L Bean duck boot has gone on a backdoor waitlist of 100,000 – no doubt because of their quality craftsmanship. By reaching to the past, heritage boots have built a presence in our present. Dress boots have much in common with heritage boots, yet are typically made in fashion-friendly materials and designed to mimic dress shoes from the ankle down. These formal-focused boots often feature exotic leathers, thin laces, and decorative broquing. The Best Dress boots are the footwear equivalent of “loosening your tie” – the high-top marks them as decidedly informal, yet with the right pants, most can pass for officewear in a pinch. In the heyday of the menswear trend, dress boots dominated. From the streets of Milan to the New York subway, the world’s most stylish guys flocked to brands like Alden, Saint Crispin’s, and Allen Edmonds for their devotion to quality. 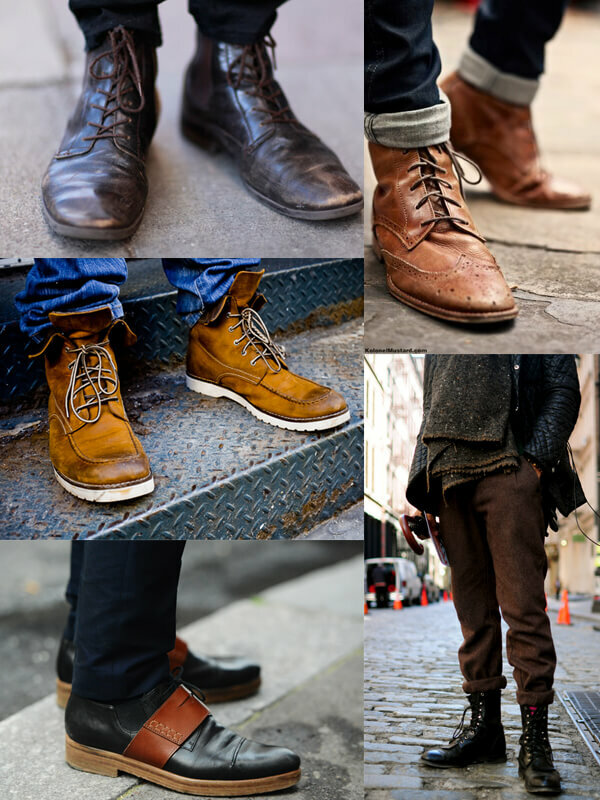 While #menswear has come and gone, those same shoemakers continue to turn out gorgeous dress boots worthy of envy. Fair warning: dress boots don’t come cheap. However, for their versatility alone, good dress boots are well worth the investment. 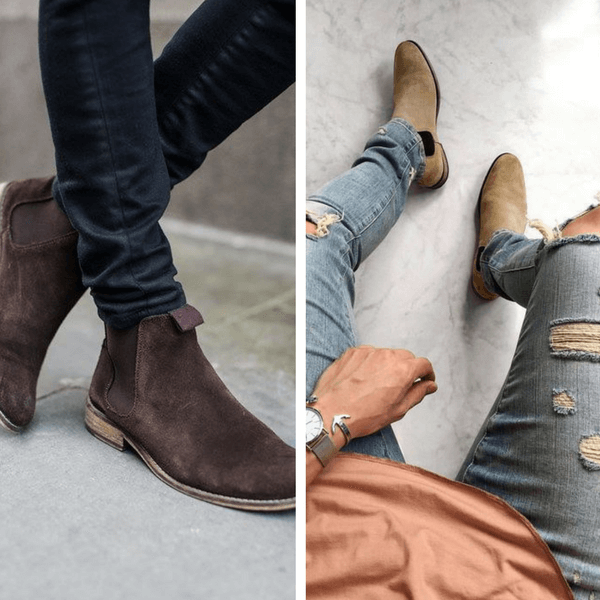 The Best Chelsea boots are round-toe boots fitted with an elastic webbing instead of lacing, making them both easy to put on and distinctively fashionable. While Chelseas can come in either suede or smooth leather, the typical pair includes a leather sole, rounded toebox, and minimal stitching. Although sacrificing the grip of laces may mean decreased usability, any worries about utility fade away the second you slip into a pair. Chelsea boots are built to provide a different kind of utility: the kind that quietly improves your everyday life. For one, they’re effortlessly stylish. Chelseas pair with everything from ripped denim to Italian suiting, fitting both streetwear and formal styles with ease. For two, they’re easy to wear. You never know how much you hate tying your shoes until you never have to do it. Finally, they’re available at every price point. From ASOS to Common Projects to Saint Laurent, there’s a pair of Chelsea boots out there that will fit your taste and your budget. If you live below the snowline, there’s no reason not to own a pair of Chelsea boots. If you live above it, get two pairs just to be safe. Your wardrobe will thank you. The Chukka boots are very in style right now. Plenty of brands are coming out with their own version of the classic boot in either suede or leather. 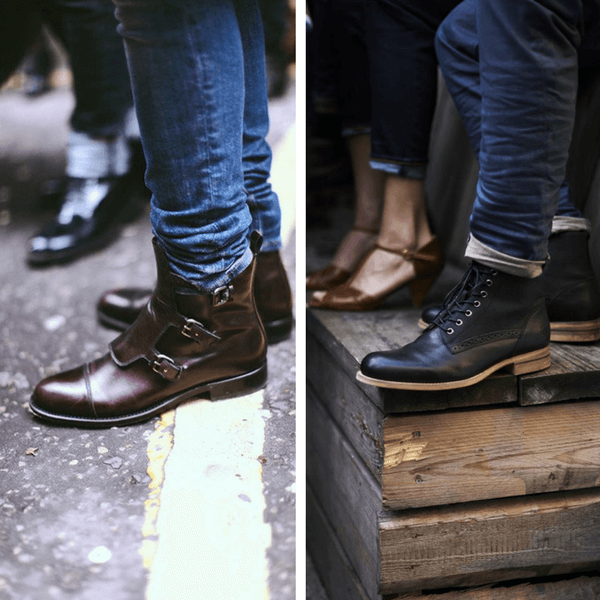 Chukka style-boots are perhaps the most versatile of all boot styles – they can be worn both casually and dressy with ease because of their low profile and simple design. The Best Chukka boots don’t skimp on the quality and definitely don’t fall short in the style department. Brand like Red Wing Heritage hit the nail on the head without compromising on either. 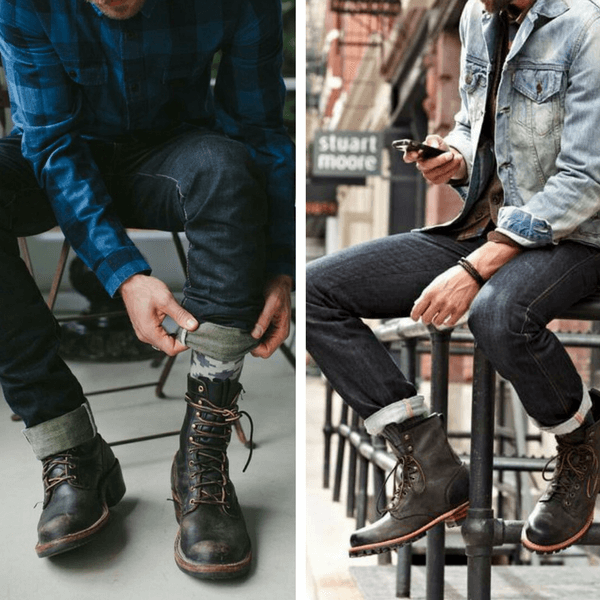 For their price tag, familiar styling, and fashion in harmony with function, most guys found the chukka boot the most accessible of all boot styles.